For many fly-anglers fishing spring creeks, what we affectionately call “limestoners” here in PA, the task of covering these waters effectively represents a different world on the water with several new challenges. First and foremost, creeks like the fabled LeTort and the resurrected Big Spring are slow, they are consistent, and as the cliche’ goes: clear as gin. This means the fish see everything, it also means they feel everything. So here are some tips. When you go to church, you dress and act accordingly, fishing is no different. Spring creeks are calm environments, they move slow, and they’re often crystal clear. Likewise, you should be calm and move slowly, clear your head of everything else and focus on becoming one with the environment. Wear clothing colors that match it. I like to where colors that are analogous with shirts that have big patterns and wide tonal changes. I think this helps to break-up my silhouette and allows me to blend in. Also, folks have often remark about my propensity for wearing “hippers” over “chesties” and that comes from my life fishing limestoners. My philosophy is that you don’t get in the water unless you absolutely must. Getting into a spring creek you are trying to fish is like the last scene in Raiders of the Lost Ark, you think it’s a good idea but then everything inevitably goes horribly wrong. First you’re going to make wakes and fish can feel that, big time. Second, you are going to kick up silt and mud and that’s a big red flag for fish down stream. Third, you’re probably going to make some noise. And finally you may introduce some new smells to the water. Fish have acutely keen olfactory powers, they may even be able to smell you when you are in the water. My advice: hip boots let you do everything you need to do around a spring creek without working up a sweat or wearing out your chest high waders. Because we spend a lot of time kneeling down and crouching in the weeds on the high banks of spring creeks it is nice to have the mobility and freedom only hip boots can offer. The first time that you go out to a spring creek unless you are probably going to “mess up”. Actually, your going to mess up, many, many subsequent times, it’s ok. Unless you are a fish ninja you will see darting fish and the slow cruising wakes from lunkers as they all flee from your clumsy intrusion into their world, this is normal. Don’t give up, learn from it. Walking too closely to the water is a big mistake and a hard habit to break especially if you are learning new water.Note where you saw fish and where wakes came from. 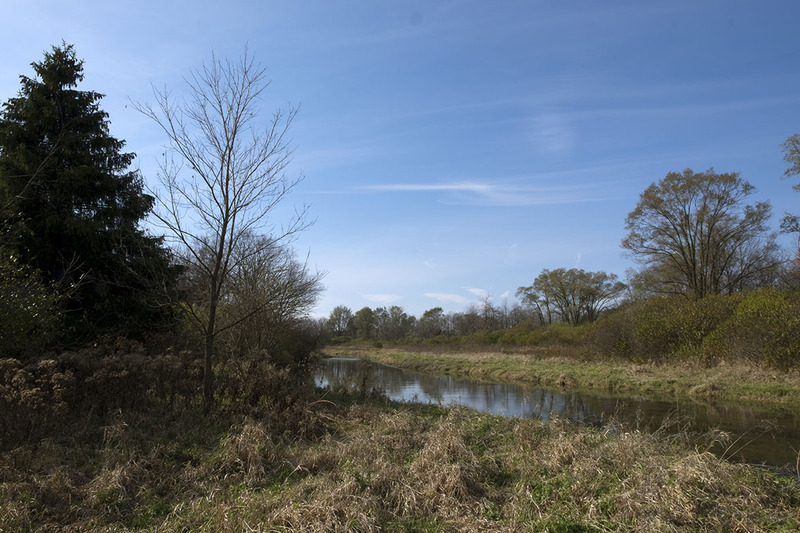 A good thing about spring creeks is that they don’t change much and when they do they change slowly so a prime big fish spot is likely to be a prime spot for a while. Remember these spots! Students make mistakes otherwise they wouldn’t be students. Many spring creek guides will tell you that they are always learning something new about their waters so take a page out of the guidebook and do the same. Good studying habits include visiting these waters at various times of day and throughout the year. Realize you have to put your time in. Once you do it is like riding a bike and it gets easier to take your skills to other streams. Other tips include carrying a wide variety of flies. This doesn’t mean having a ton of boxes, it just means make sure you have some variation in what you can offer. 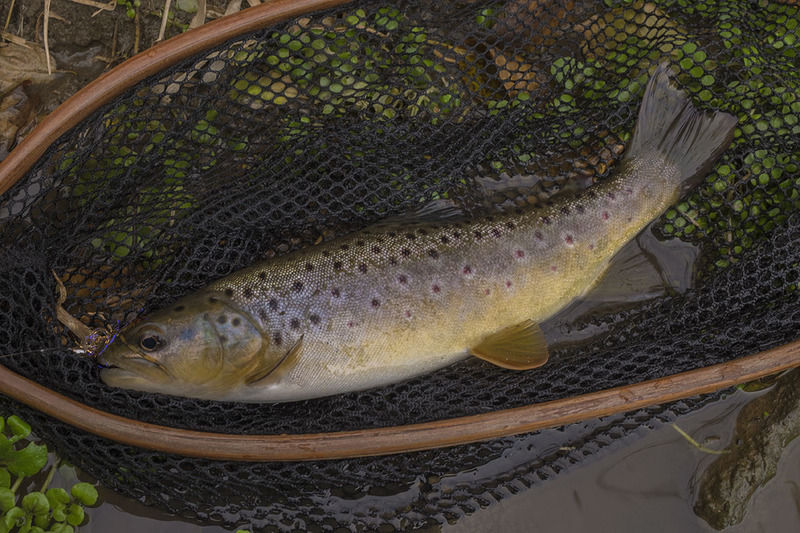 Spring creeks are consistent but this means the fish can key on a wide variety of offerings. Some fish may be on midges, craneflies, or BWO’s while others may be keyed into scuds, sowbugs, worms, or even sculpins for bigger fish. Having a variety of patterns helps, I generally take a box of dry-flies, a box of wet-flies, and a box of streamers with me. Remember above all else, keep it simple, take it easy, have fun. Why millenials are killing fly fishing.